For the last few months I have been trying to improve my skills as a colorist, I have played around with a lot of methods and have found several I like. The intention of the photograph was to produce a 'clean beauty' make-up look. trying to fabricate an arm, help!! The photo is attached to my reply, so you have to scroll down a bit. 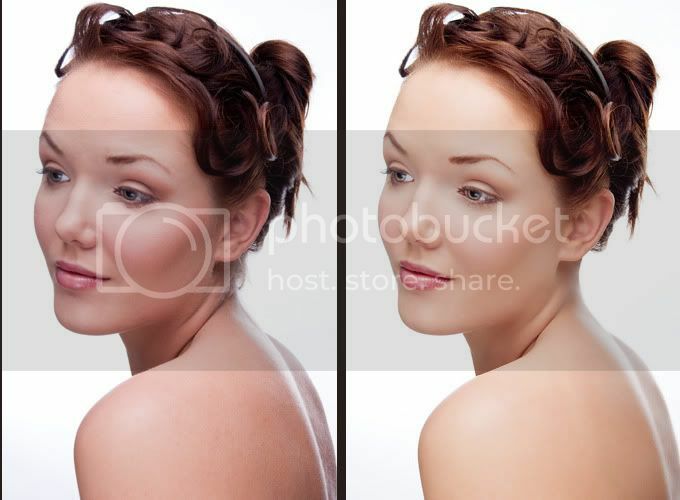 The retouched skin is on the right side and the image has been cropped to show specific detail. What I am going for is that bronze/chocolatey desaturated look that I've seen in a lot of fashion magazine photography. I don't know how better to describe it. OK -- first I was just going to change her hair color, but then I got a bit carried away. I thought a bit of texture on her so-smooth skin would make it a bit more realistic..., and once again I got a teeny bit carried away.... with a bit of leather texture PLUS the Extrude filter. So then I decided to add a mirror frame look so that the extruded areas could be mirror pieces instead of her skin..... hmmm, but what about that skin color? "The Blonde on one elbow" spoke to me about my "teal version", and I decided that she deserves a more straight-forward image. So here's a color illustration - usual abstract outline method (Add Gaussian blur to top of 2 unsaturated layers [top copy inverted] set to Color Dodge layer blend to elicit outline), then multiplied duped layers of result to add to effect, place copy of resulting image over copy of original with layer blend set to Vivid Light -- run Graphic Pen on original copy. Bring copy of original above this result with layer blend set to Hard Light and another copy of original above that layer with layer blend set to color to correct skin tone. Is this the method for creating an abstract outline, or is this just part of her workflow? As Elvis use to say, "Thank yew, thank yew vurry much!" Although it doesn't have a great resolution, this picture is pretty cool, very versatile to work with. I did about 15 tests using different effects and it looked very nice with all of them. Here is one of them... Thanx for posting Danny. Last edited by Boneappetit; 12-24-2010, 07:00 PM. too many tabs opened in firefox, my bad. Last edited by vasiliskons; 12-26-2010, 01:52 AM. i had to have another go at this one. this is all psp. 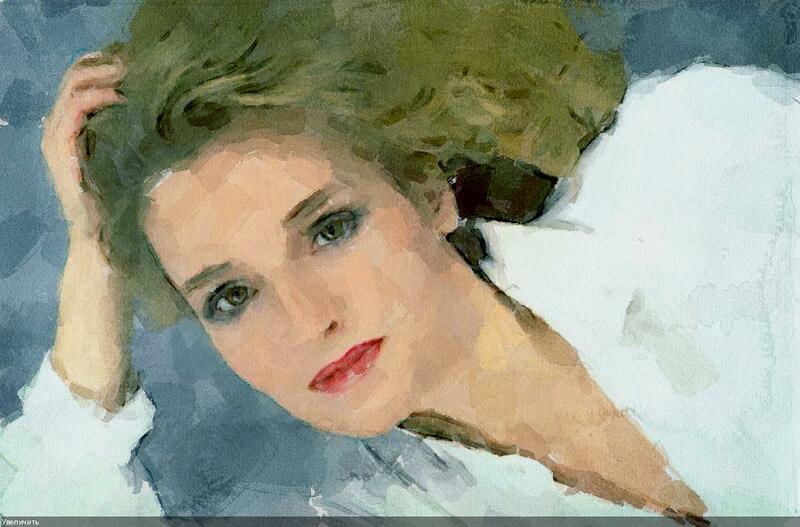 Watercolor from the photo. Done in a new add-on for Photoshop.